Students and staff from Newmarket’s Sacred Heart Catholic High School, along with community partners in Newmarket presented their Sacred Canoe community-based arts project at the Canadian Parliament on March 21st to help mark the International Day for the Elimination of Racial Discrimination. The Sacred Canoe is a multidisciplinary art project launched in 2017 to answer specific calls to action from the Truth and Reconciliation Report. It included over 150 water colour landscapes, dry-point etchings and spirit animals designed by the Newmarket students, under the guidance of teachers and Indigenous community members who acted as mentors. The designs were inspired by photographs taken at Webequie First Nation Reserve, its surrounding areas, and stories that were told from students at the Innulik School in Quebec. Elements of music, dance, drama and spoken word poetry were also an integral part of the Sacred Canoe project, however the feature piece of the project is the stunning 19-foot long canoe which was painted to tell a story of reconciliation, specifically, the need to return to the spirit of two cultures walking together side by side, in harmony and peace, like the Indigenous story of life and the wampum belt. Students worked closely on this project with Oneida Artist and Knowledge Keeper Todd Jamieson, Jacob Charles and Cedar Smoke from the First Nation of Georgina Island, Suzanne Smoke, Traditional Knowledge Keeper of Alderville First Nation and John Somosi. The immediate success of the Sacred Canoe project was profound and as a result the Newmarket school working with the York Catholic District School Board and its community partners recently launched Canoe to the Capital, which carries on the Sacred Canoe legacy and hopes to inspire further discussion and action, nationwide, relating to Truth and Reconciliation. Those who worked on the project were invited to bring their canoe to Ottawa to help mark the International Day of Elimination of Racial Discrimination. On March 21st, the art project contributors presented the canoe to Chief Kirby Whiteduck of the Algonquins of Pikwakanagan First Nation in a special ceremony at the Wellington Building in Ottawa. It involved Indigenous leaders and Members of Parliament. The event was hosted by the Government’s Indigenous Caucus and Newmarket-Aurora MP Kyle Peterson. 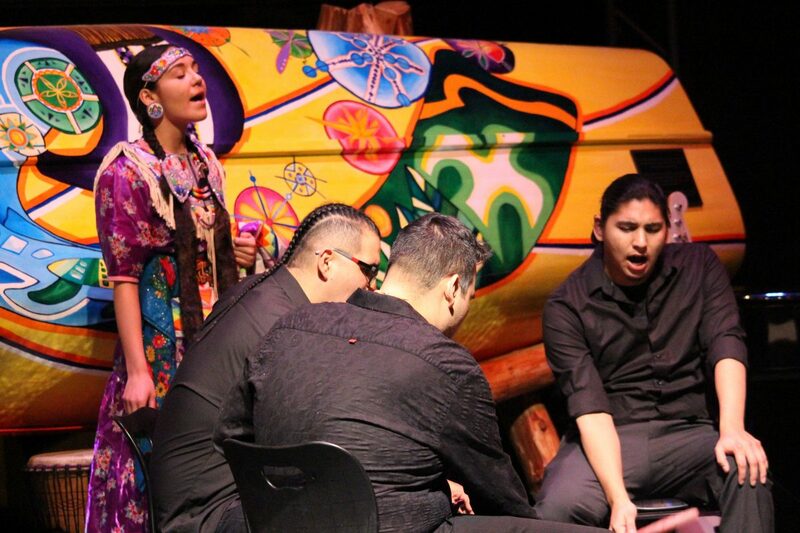 Before the canoe travelled to Ottawa, members of the community and media were invited to view the community project at a local presentation that took place on March 19th at St. Andrew’s College in Aurora. This local presentation was a beautiful multidisciplinary arts event that featured artwork, drama, music and poetry. 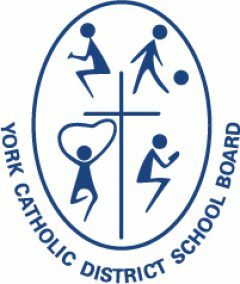 Attendees at the event included Indigenous and civic leaders along with trustees and officials from the York Catholic District Schools Board. Special thanks to: Co-creaters, Singer / Songwriter and Music Educator, Glenn Marais, Sacred Heart CHS Arts Department Head Dawn Ellis-Mobbs and Teacher Julee Colucci; community members who mentored and helped lead the project including Oneida artist, Knowledge Keeper and project mentor, Todd Jamieson; Jacob Charles, Ojibway drum and pipe carrier from the First Nation of Georgina Island; and Janis Luttrell from the Town of Newmarket. Thanks also to: Trudy Hubbard, Patricia Warecki, Beverly Cameli, the Schaeffer family, and Sacred Heart CHS students in Julee Colucci’s class. Previous Previous post: STREAM Night at St. Michael the Archangel a success!